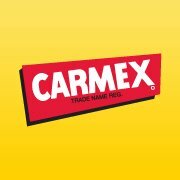 Carmex is celebrating its 75th Anniversary this year. As a way to thank their customers and fans for supporting them through nearly a century, they are hosting a promotion on Facebook: 75 years with 750,000 Carmex Fans . Carmex hopes to reach 750,000 Carmex Fans to celebrate their monumental anniversary. Once they unlock certain fan milestones they will be giving away great Carmex prizes as well as CASH. Once they unlock the first milestone of 250,000 fans they will award the grand prize winner $2,500. When they reach 500,000 they will award $5,000 and when they reach their goal of 750,000 there will be even more cash. Go enter today!